What's Going on in the Lab? 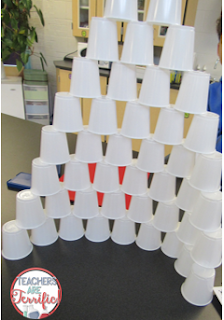 Stacking Cups! So glad you are here to see what we have been up to! 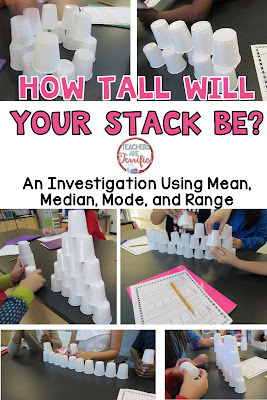 This week it's all about stacking cups! When this challenge was first considered about two years ago I thought it sounded too much like Minute-to-Win-It! As much as I knew the kids would have fun, I also wanted this to have some educational value! Right? Anyway, I added the features of calculating mean, median, mode, and range. 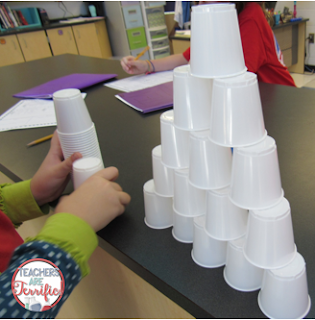 Kids start with a couple of performance tasks that involve stacking cups, based on task rules. Those photos all show my fourth graders doing the task about a week ago. They are using 3 ounce white plastic cups. Now, let me tell you a little secret! 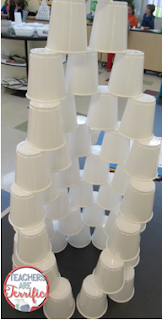 The first time we tried this challenge I used Styrofoam cups- because they are really cost efficient. 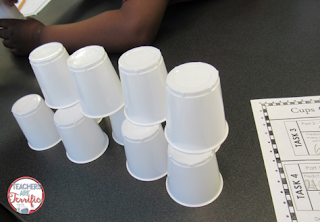 These cups make spectacular stacks, but there's one BIG PROBLEM! The static cling of Styrofoam cups will make you crazy. I mean bonkers, out of your mind, nuts! 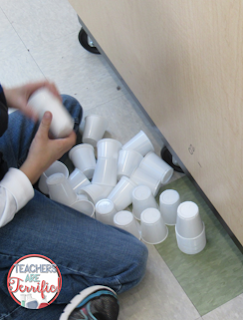 Just when the kids would get a stack ready to measure or count, the next cup would make a bunch under it slide and the whole thing would collapse. We tried wiping them down with dryer sheets and washing our hands and nothing worked! They did get better after being used for about the second time- so I would suggest using OLD cups! So, this year I invested in some little plastic cups! Good decision. I made marks on our lab tables to use instead of meter sticks- only in the interest of time! 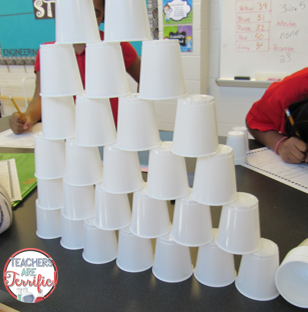 You could add measurement to this challenge and really cover some math skills! Overall, it's a really fun activity, but has just enough math in it to make it worth your time. 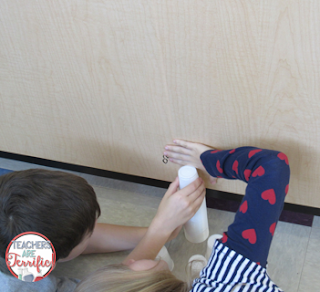 The kids leave knowing how to calculate mean, median, mode, and range! 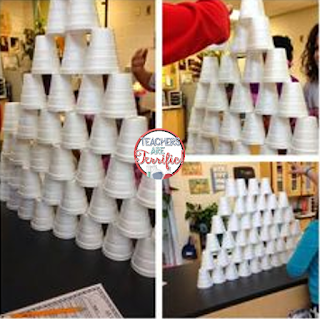 And how to stack some cups! What's Going on in the Lab? Little Flippers!